With only about six months until we move in, the new law school is heading into the homestretch. 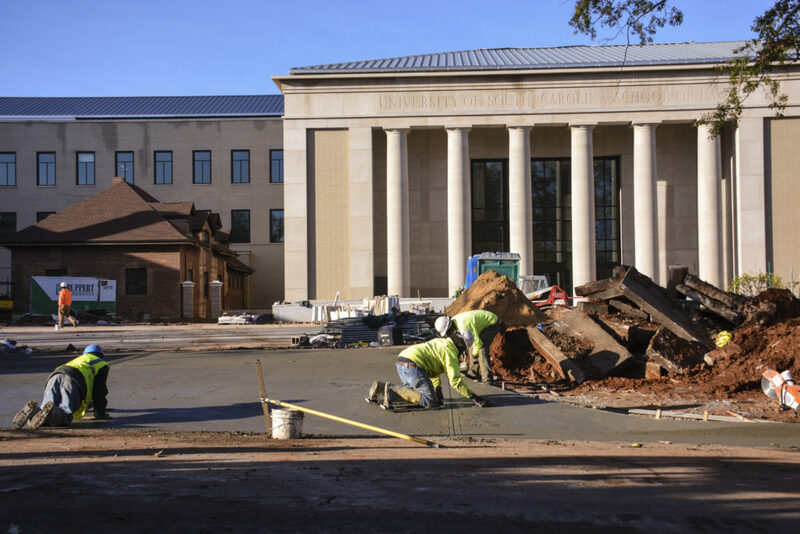 As light fixtures, tiling, carpeting and landscaping are installed, the building’s appearance is changing on an almost daily basis, and looking more like a home worthy of this great school. 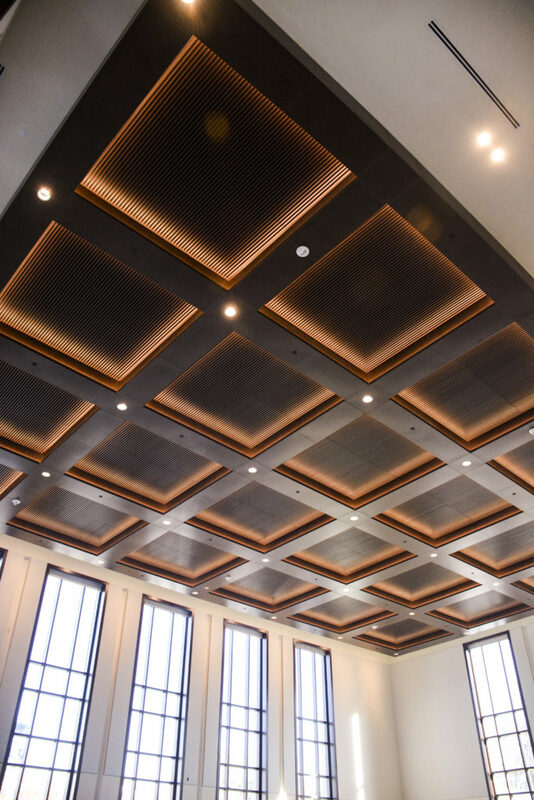 The recessed lighting and inset ceiling panels reveal the grand elegance of the Karen J. Williams Ceremonial Courtroom and provide a glimpse of the attention to detail seen throughout the building. Stately two-story columns set the tone of professionalism to all visitors pulling into the new parking lot at the main entrance. 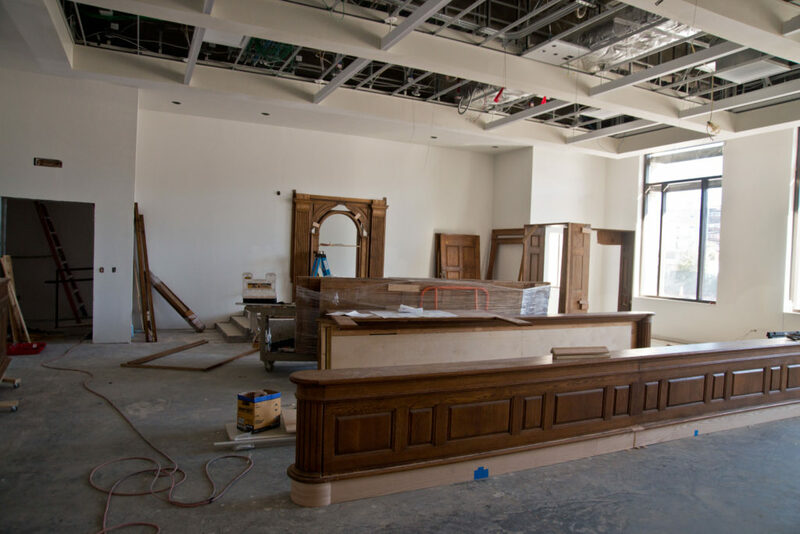 While the building’s overall architecture looks to the future, several design elements pay homage to the past, including the bench and other furnishings from the original Richland County Courthouse that are being installed in the law school’s second dedicated courtroom. 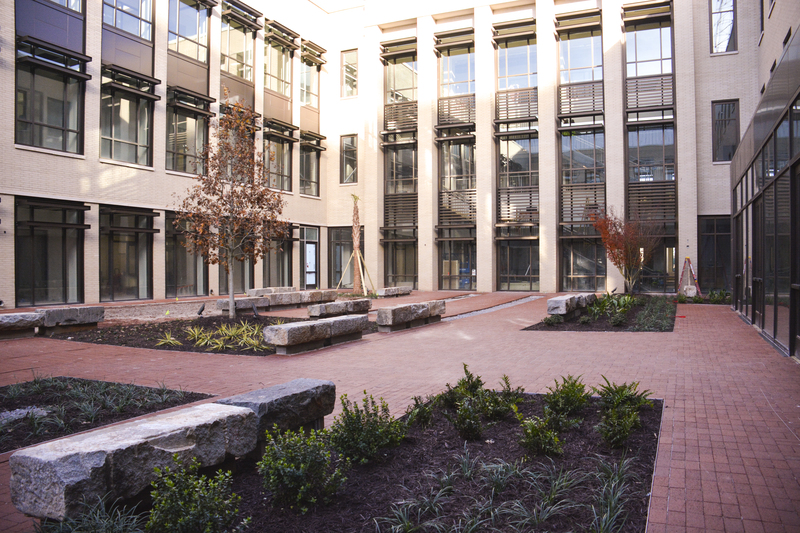 In the open and spacious courtyard, sitting areas have been fashioned from granite blocks that were once part of the former Central Correctional Institution, the state penitentiary from 1866 to 1994.